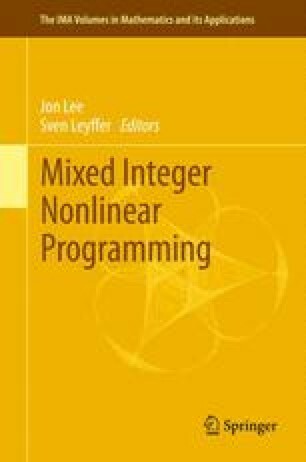 This paper discusses how to build a solver for mixed integer quadratically constrained programs (MIQCPs) by extending a framework for constraint integer programming (CIP). The advantage of this approach is that we can utilize the full power of advanced MILP and CP technologies, in particular for the linear relaxation and the discrete components of the problem. We use an outer approximation generated by linearization of convex constraints and linear underestimation of nonconvex constraints to relax the problem. Further, we give an overview of the reformulation, separation, and propagation techniques that are used to handle the quadratic constraints efficiently. We implemented these methods in the branch-cut-and-price framework SCIP. Computational experiments indicating the potential of the approach and evaluating the impact of the algorithmic components are provided. AMS(MOS) subject classifications. 90C11, 90C20, 90C26, 90C27, 90C57. Supported by the DFG Research Center Matheon Mathematics for key technologies in Berlin, http://www.matheon.de. H. Mittelmann, MIQP test instances. http://plato.asu.edu/ftp/miqp.html.